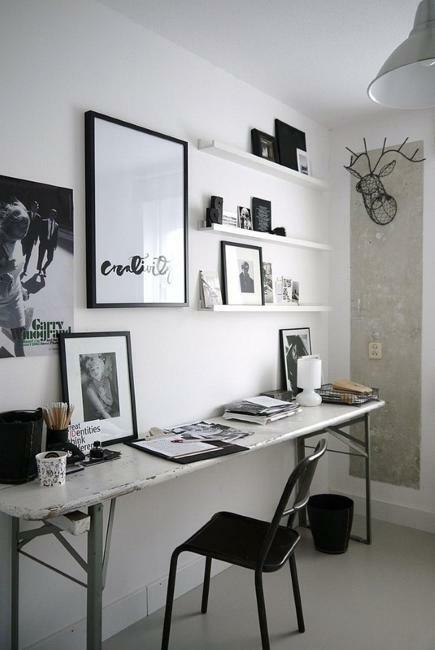 Small home offices and larger work spaces in black-n-white look beautiful and sophisticated. Minimalist style and contemporary design in the contrasting colors are ideal for functional, stylish and bright interiors. 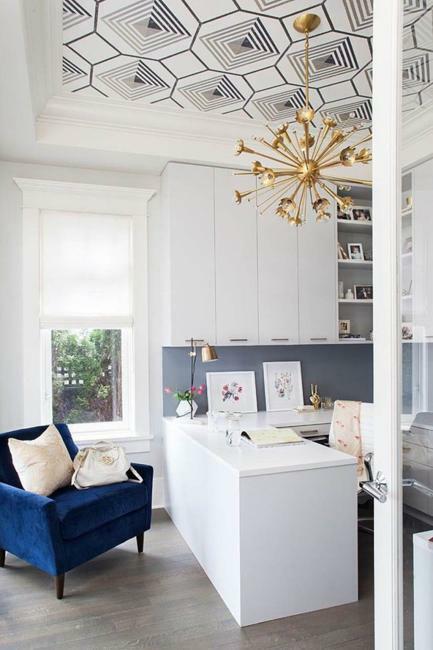 Lushome brings a collection of small home office designs accentuated by a vibrant color demonstrating how to create modern interiors and spice up workspaces with colorful details. 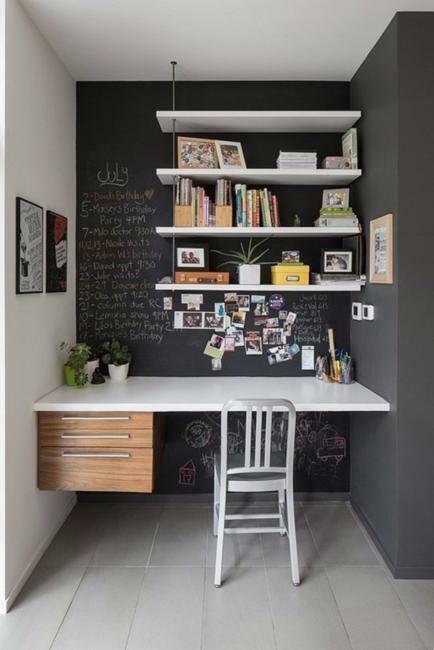 Black and white decorating ideas are easy and practical. They stretch interior visually and create the light, comfortable and stylish environment. 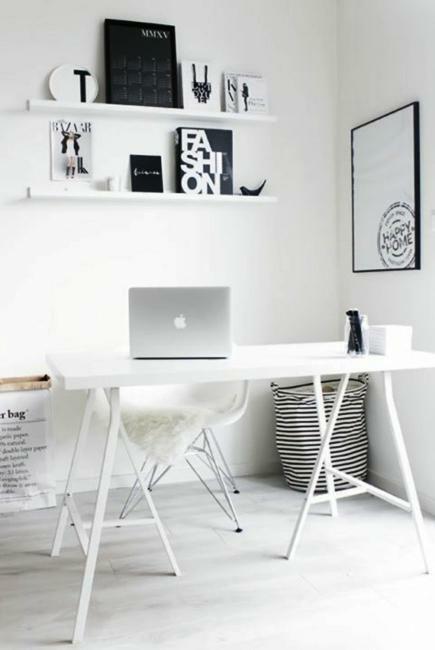 Black-n-white office designs in minimalist style are balanced and pure, functional and attractive, stimulating to keep the spaces in order, neat and organized. Sharp contrasts energize and help concentrate on work. Adding vibrant colors can emphasize the boldness of the contrasting color combinations or soften the effect of black-n-white decorating. 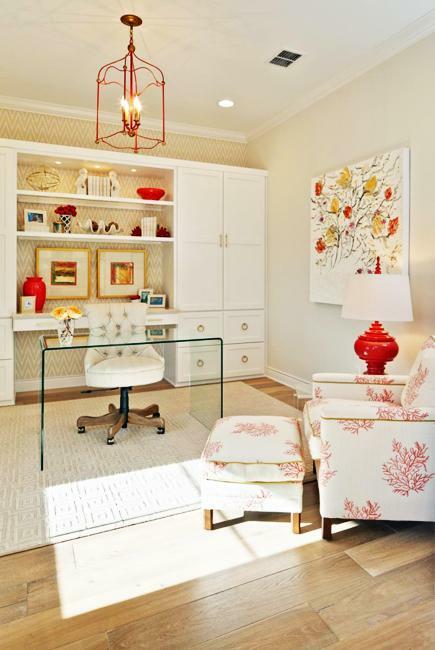 The neutral colors accentuated by vibrant hues are ideal for small home office designs. 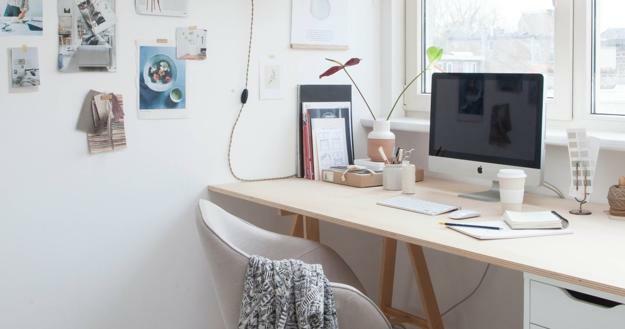 Small home offices can be very functional and comfortable. 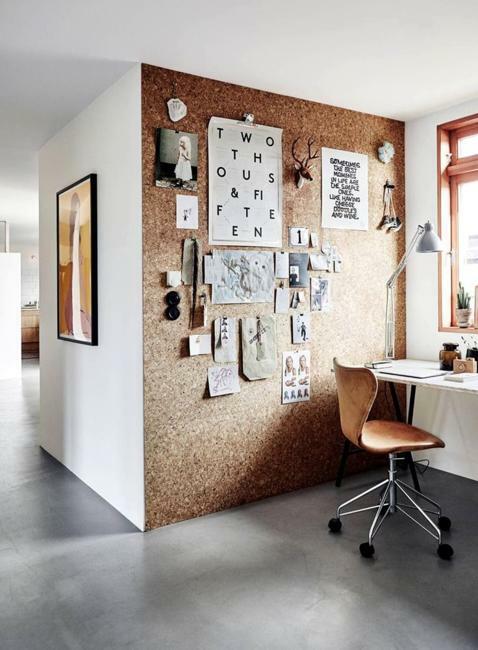 Bright lighting, white paints, office furniture in white, black or gray color tones, plenty of storage and creative but modest wall decor ideas turn small rooms into beautiful and elegant workspaces in a minimalist style. 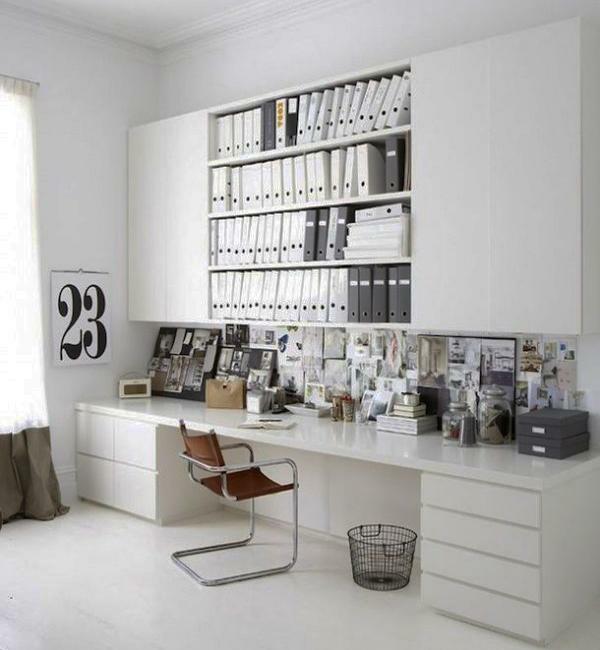 Wall mounted cabinets or shelves are excellent storage ideas for small home offices. 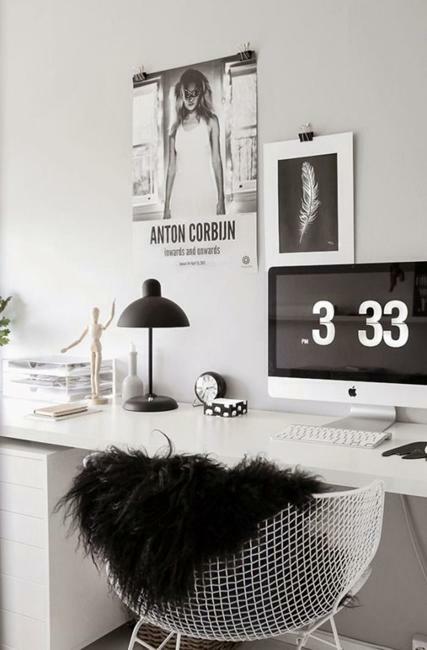 Black and white office furniture, a table lamp and white wall decor create functional and beautiful spaces in minimalist style. 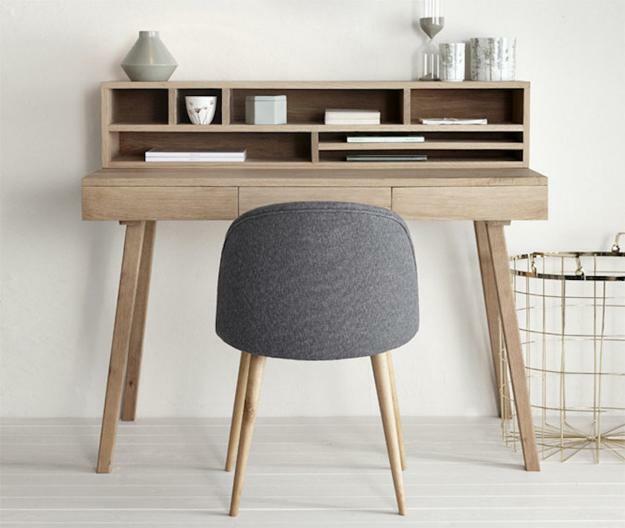 Wood furniture, the attractive texture, and comfortable brown colors bring warmth into office design and give it a touch of elegant and relaxing eco style. 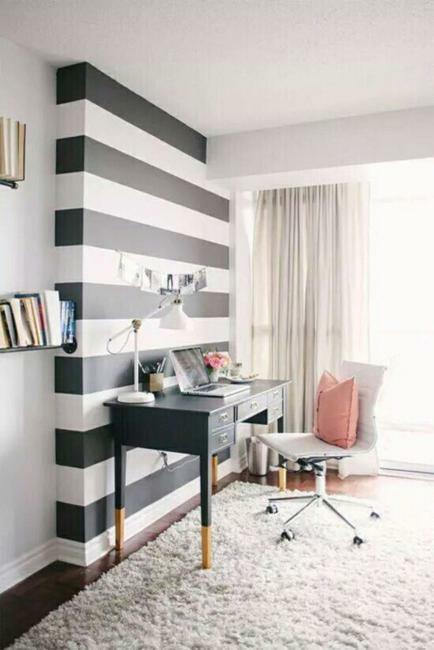 Colorful wallpaper or artworks in bright, warm colors attractively accentuate white decorating ideas and create a cozy, friendly and inviting atmosphere also. 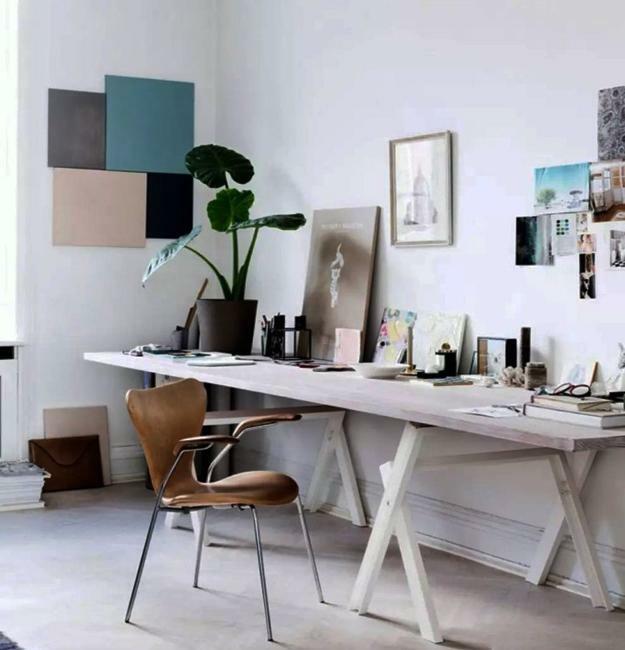 Colorful accents jazz up black and white offices. 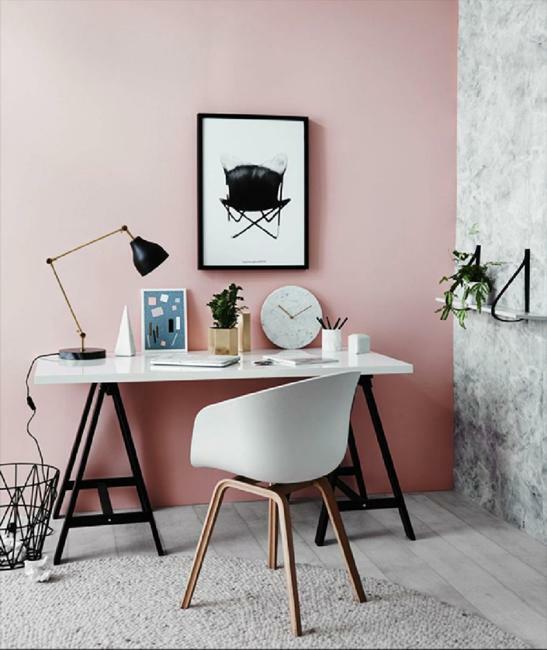 Dazzling table lamps, wall decorations, picture frames, storage boxes in bright colors or fresh flowers make fantastic accents that bring energy and optimism into black and white office design in minimalist style. 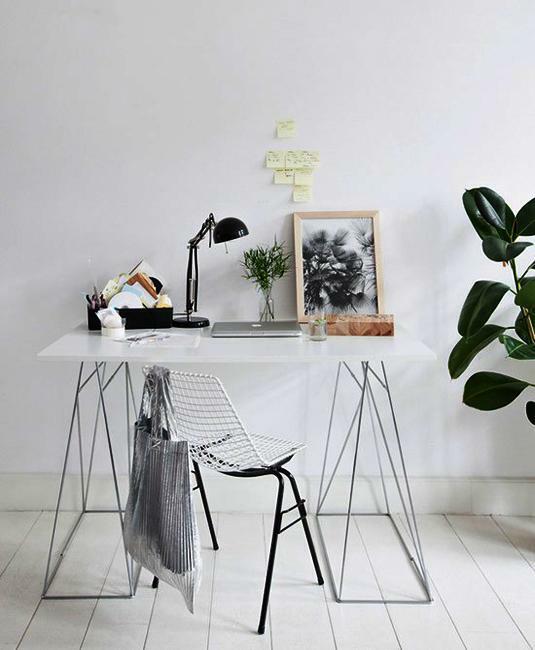 House plants are eco-friendly, beautiful and green home decorations offering cheap ideas for accentuating and brightening up black and white interiors. 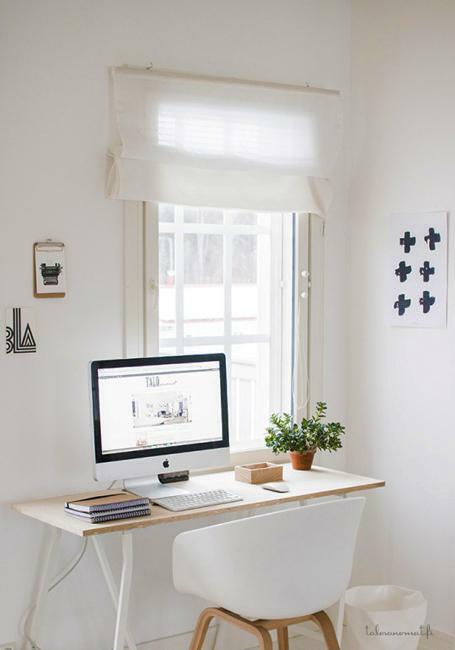 For a tiny office, you can consider bringing bold decoration patterns and prints. 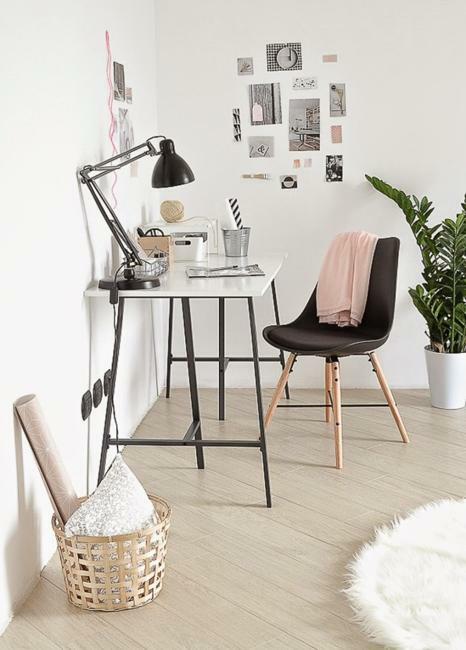 A decorative pillow or a colorful chair, geometric floor rug or wallpaper multiply the striking effect of black-n-white rooms and add visual interest to interiors in a minimalist style. A sophisticated combination of pastels and glass transform small rooms into spacious and pleasant interiors. 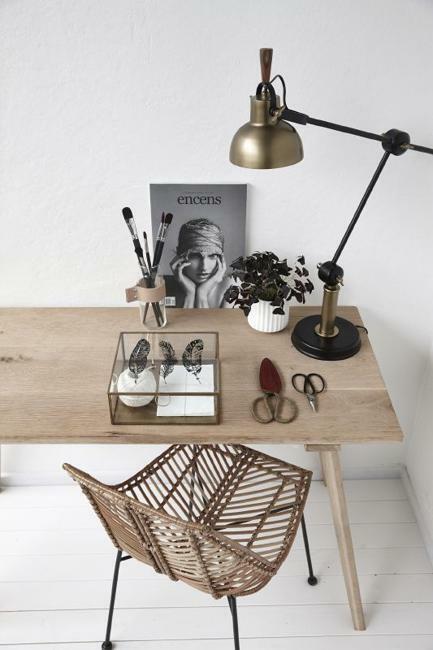 Unusual decorations and geometric patterns stylishly accentuate home office designs. 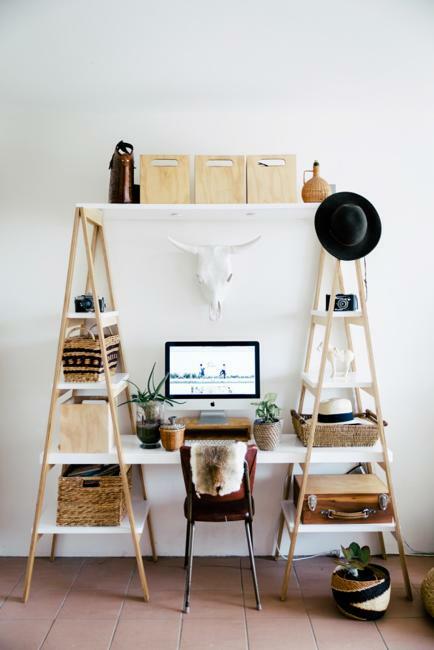 Whether you choose black-n-white decorating ideas or bring vibrant accents, the minimalist style calls for clutter-free spaces blending elegant functionality with comfort.